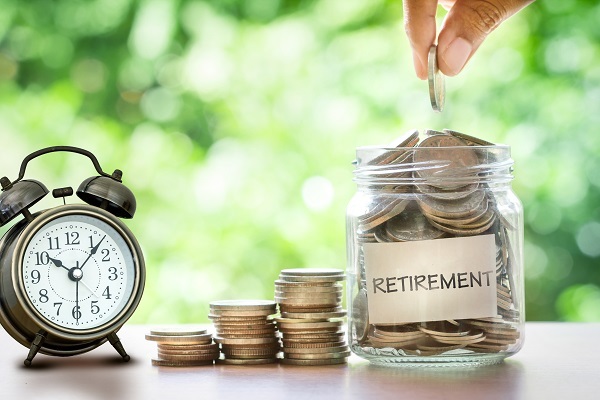 For many Americans entering retirement, their focus is more on maintaining their current living needs rather than being able to leave a substantial inheritance to their dependents. Retirement should be a relaxing period in which to enjoy your Golden Years, but that doesn’t mean that it doesn’t come without its own set of challenges. Here are the leading concerns for people currently considering or entering retirement, from a leading estate planning attorney in NJ. Debt: Americans of every age are increasingly in debt, with total debt hitting a new high of $13 trillion in 2017. For people entering retirement, this is of special concern because their period of earning income is limited. According to the National Council on Aging (NCOA), 60% of households in 2016 headed by an adult of retirement age (65) are carrying debt, with an average of $31,300. Maintaining a stream of income: For many retired or retirement-age Americans, a leading concern is how to keep money flowing into the household – primary in order to meet day-to-day expenses. Simply put, they are concerned that Social Security income will be enough – or that these benefits will even continue to exist. Medical expenses: Medical costs in the USA are high, and it’s no surprise that according to an analysis by Fidelity in 2017, a healthy 65-year old couple can expect to need $275,000 to cover their healthcare retirement costs. Expenses like this can easily throw even a conscientious retirement plan into chaos. Saving enough: Another big concern for retired or retirement age Americans is that they simply haven’t saved enough. People are living longer than ever before, with around 25% of today’s 65-year-olds predicted to live to 90, and Americans are worried that they will outlive their savings. With any of these concerns, there are solutions available. With the right legal asset protection through estate planning, Medicaid planning, and financial planning, retirement plans can be put on track to deliver the peace of mind you deserve in your retirement. At Sedita, Campisano and Campisano in New Jersey, estate planning attorney Frank Campisano is ready to assist you with all your estate planning needs – whether you need to plan for retirement, make a business succession plan, draft your Last Will and Testament or Power of Attorney, form a Living trust or minimize inheritance tax on your estate. If you or a loved one have received a diagnosis for Alzheimer’s disease, creating a legal plan for the future is an essential step for ensuring that medical care and financial assets are managed properly. It’s best to address this plan as early as possible, ensuring that the necessary people are as prepared as possible and that you can focus on enjoying your life, family, and friends. What Should Your Legal Plan Include? Medical Power of Attorney or Healthcare Proxy: This is a legal document that names a person of your choice to make health care decisions on your behalf if you are no longer able to do so. These decisions will be made in line with your wishes, and you can include details on all your medical care wishes from the kind of long-term care you have planned for to whether or not you want to receive extreme lifesaving measures. Financial Power of Attorney: Similar to the document mentioned above, this names a person to make financial decisions on your behalf if you are no longer able to do so yourself. Again, you can outline your wishes in detail within the document in order to guide the person who will speak on your behalf. Legal capacity: This refers to the ability to make rational decisions and is important to include in your legal documentation, as it will come into effect in the later stages of the disease. Your attorney can assist you in creating a document that defines the conditions under which you no longer have the legal capacity – and this is when your medical and financial Power of Attorney documents will come into effect. Simply creating this document does not affect your legal rights – in reality, it helps protect your rights by ensuring that decisions about your health and financial assets are held to the legal plan that you create. Updating existing documents: If you have a Last Will and Testament, a trust or other elements of an estate plan, now is a good time to gather them, review them and update them as necessary. You will need to gather a complete list of your property and other assets and decide on how you would like them to be protected or distributed. Long-term care: Long-term care plans are especially essential, and even if you have no need for care at present, it’s important that you evaluate your options and put in place legal instructions as to your preferences if and when the need for them arises. This includes looking into different care options and facilities to determine a good fit, as well as putting in place a plan to pay for your preferred care option. Frank R. Campisano is a highly experienced and compassionate elder law attorney with considerable knowledge of estate planning, retirement planning, and Medicaid issues. Experienced in elder law, compassionate and committed to his clients, you’ll receive the highest quality legal expertise and guidance. In addition to sound elder law advice, you can also prepare additional estate planning documents, such as your Last Will and Testament, Power of Attorney documents, medical directives and trusts. For many of us, the rising cost of nursing home care and assisted living is worrying. These costs, which on average amount to $330 a day, risk draining all our life savings and leaving nothing on which to enjoy our final years or help care for our loved ones after we’ve passed. While Medicaid can help alleviate this financial pressure, it can be difficult to qualify for this assistance. Fortunately, the federal government has recently allowed the use of Qualified Income Trusts (QITs) to help plan for Medicaid assistance. This is a legal trust into which individuals pay an income each month. This income will not be counted as part of the Medicaid assessment process. It is an irrevocable trust, so it cannot be modified after its creation and, in New Jersey, the State needs to be listed as the first beneficiary of the trust in the event of the death of whoever created the trust, giving them the right to claim on any remaining income. It is an income exclusive trust, however, so you cannot place cash, proceeds from the sale of assets (such as your home) or assets themselves into a QIT. Income can include pensions as well as Social Security payments. How does this affect Medicaid eligibility? If your gross income exceeds $2,199 per month, you will qualify to have a QIT (keeping in mind that these figures are subject to change). This income, which can include a full income or a portion of your income, will no longer be used in eligibility calculations, making it easier to qualify. All other criteria will still be in place, however, such as citizenship, residency and level of care requirements. Frank R. Campisano is highly experienced and compassionate elder law attorney with considerable knowledge of Medicaid issues. In addition to planning ahead financially for Medicaid eligibility, he is also able to assist with applications, appeals and other Medicaid issues. Estate law is fairly complex and people can quickly run into significant issues when their assets aren’t correctly included in their estate plan. Here are some tips from a leading New Jersey estate planning attorney. Your home going through probate because the trust fails to correctly identify the property. Your wishes may not be clear, allowing the State to distribute your home according to State law rather than the rules of the trust. This can happen when your home is not listed as a trust asset even if your Last Will and Testament declares that everything should go to a certain beneficiary. This can lead to delays on your estate as well as increased legal fees as your family and loved ones have to approach the courts to legally correct this error. That you have signed and notarized a new deed when you create your trust. That your home is listed with its full address in your trust in the schedule of assets. That the name of your trust on the new deed matches the name of your trust exactly. That your trust is listed as the insured on your home’s insurance policy. If you would like further guidance on creating a revocable living trust or a Last Will and Testament, Frank R. Campisano can provide you with the necessary expert legal advice and professional insight. Estate planning is all about the creation of legal documents and structures that ensure that your assets go to your dependents rather than to the government. While estate planning is important for anyone who has assets of any value or dependents they want to ensure are cared for, it is also true that the higher your income and the larger your assets, the more complex your estate planning needs to be. A settlement in a personal injury case can increase your assets in such a way as to change your estate planning requirements, says Frank R. Campisano, a leading NJ estate planning attorney. • State and Federal taxes: While the State of New Jersey is eliminating their own estate taxes, the federal government will apply its own estate taxes on those that are valued at over $5.45 million. After this point, estate taxes will apply – but a comprehensive estate plan will help to reduce their impact as far as possible. • Keeping an official record: The wheels of the legal and government system rely on accurate, official documentation – so it is vital that the official record is kept up to date. This is especially important if the plaintiff is medically unwell or injured to the point of disability and is unable to continue working, or in cases where a minor has lost their parent or parents and a trust is needed too to ensure their care. • Medical expense planning: Medical expenses in these cases are often long-term, so it is important that your estate plan provides for for future needs. If these expenses are not recognized in the estate plan, you may end up being charged a higher federal tax as money needed for medical expenses will be added to the value of your estate. If you would like further guidance on minimizing your estate taxes, Frank R. Campisano can provide you with the necessary expert legal advice and professional insight. Say goodbye to NJ death tax in 2017! The State of New Jersey has long been known for having a state as well as a federal tax on estates, making estate planning more complex than ever for individuals who want to leave their assets to their loved ones rather than the government. The New Year, however, brings some great news with the death of the NJ estate tax. As of January 1, 2017, the credit against the New Jersey estate tax increases from $675,000 up to $2 million, making anyone with an estate of less than $2 million exempt from this estate tax. On 1 January 2018, this tax will be completely eliminated. What does this mean for inheritance tax? In addition to estate tax, the State of New Jersey also implements an inheritance tax on the beneficiaries of decedents, which generally ranges from 11-15% of the value of the inheritance based on how closely the beneficiary is related to the decedent. Unfortunately, this tax is being kept in place by the state and will not be affected by this new legislation. How can I reduce my exposure to federal estate tax? Citizens of New Jersey will still be subject to federal estate tax, which is implemented on all estates valued in excess of $5,450,000. With a professionally devised estate plan, your assets will be better protected from federal taxation. What does this mean for my current estate plan? For many New Jersey citizens, much time and effort has been spent on developing complex estate plans that preserve assets in Wills and trusts for loved ones rather than having them subject to state taxation. With the elimination of this tax, these estate plans are immediately outdated and ineffective. It is therefore essential that, regardless of the value of your assets, a new estate plan is professionally developed by an experienced attorney in order to correctly assign your assets and plan for your future or long-term care. New Jersey citizen? Update your estate plan today! This state legislature has real implications for your estate plan as well as Medicaid and financial planning, so speak to New Jersey estate planning attorney Frank R. Campisano today. Whether you want to create a Last Will and Testament or are interested in updating more complex estate planning documents such as trusts and Power of Attorney documents, he can ensure that the right legal documentation is developed in order to meet your specific wishes. 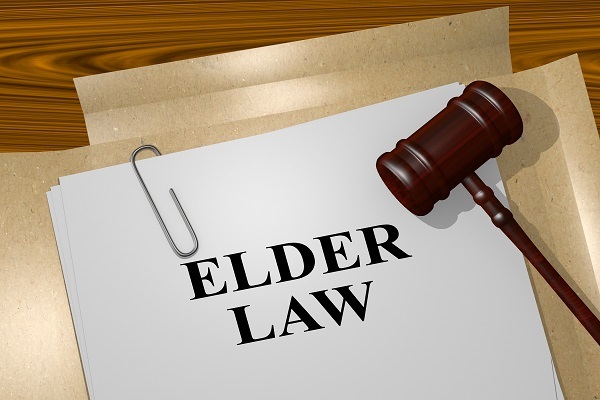 When do you need to bring in an elder law attorney? Assistance with Medicaid: Like all state and federal insurance and support programs, Medicaid can be very complex to navigate if you don’t have legal expertise on your side. Issues such as planning ahead to ensure you qualify for Medicaid, avoiding spousal impoverishment, ensuring you have a comprehensive long-term care plan in place and understanding penalty and look-back periods are all things elder law attorneys can assist you with – giving you essential peace of mind. Establishing a legal guardianship: Legal guardianship, also known as a conservatorship is a route available for families and caregivers which allows a specific person (a guardian) to act on behalf of the elderly person in their care to ensure their wellbeing. These guardianships are only granted under specific circumstances and are designed to ensure the elderly person’s health, safety and welfare needs are met, and that his or her rights are protected at all times. Medical and financial Power of Attorney: These documents will ensure that a trusted person of your choice carries out medical care and financial decisions in line with your preferences in the event you can no longer do so. In addition, your estate plan can include an updated Last Will and Testament or a Living Trust, should you require it. Asset protection and estate planning: Due to reduced earning power, it is important the financial assets of your elderly family member are properly protected in a way that is in line with their estate planning goals. Your attorney can assist you with creating or updating a Last Will and Testament, Trusts and other estate planning documents. Accessing Medicaid and Medicare benefits. Accessing state and federal veteran’s benefits. Drawing up estate planning documents, including a financial Power of Attorney, a healthcare proxy and medical directives. Drawing up a Last Will and Testament. Establishing a NJ legal guardianship. With our expertise and compassion, we can help your loved one grow older with dignity, in comfort and with proper peace of mind. For a free consultation, please contact us today. It’s a well-known story – there’s a death in the family and, when The Last Will and Testament is read, the fights begin. Although this tale isn’t true for many families, it can be devastating when it does, so taking certain steps to ensure it doesn’t happen is important, say New Jersey estate planning attorneys. Remove the element of surprise: It might sound unusual, but talking about your Will and who gets what does a lot to avoid unpleasant surprises after your death. Expecting to receive a certain family heirloom or treasured item when it’s actually going to someone else can lead to hurt feelings and disappointment at an already emotional time. Simple explanations of your decisions help communicate to your loved ones that you aren’t giving something away out of anger or by mistake, creating understanding and avoiding conflict. Have an up-to-date estate plan: Throughout your life, situations, assets and relationships will change – so keep your estate plan regularly updated in line with your current lifestyle and needs. Remember to update your medical directive, financial power of attorney and other documents along with your Will, so that you have a comprehensive estate plan in line with your wishes. Choose the right executor: Being an effective executor is more about having a specific skillset rather than fulfilling a specific role in your family, so don’t choose your eldest child (for example) by default if he or she doesn’t seem up to the task. Look for someone who is honest, highly organized, a good communicator and is able to separate their emotions from their job. If no one in your family seems quite right for the task, choose a qualified, professional executor like an attorney. Be specific: If you want certain conditions put on selling or using assets within a trust, be as specific as you can. This is important for keeping heirlooms in the family rather than selling them off, or keeping certain assets in the trust until minors are of the right age to access them. A good idea is to speak to your attorney about clarifying these goals in clear legal terms that cannot be disputed, avoiding uncertainty for the new trustee and misuse of assets and funds. 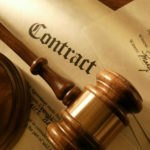 At Sedita, Campisano & Campisano, LLC, we have over 30 years of experience in New Jersey estate planning law. We can assist you in creating a Last Will and Testament, Power of Attorney and medical directives, as well as set up trusts appropriate to your specific needs. Contact us today and let us deliver expert estate planning advice to take care of all your wishes – whether your estate is big or small. What resources are available to veterans and their spouses in New Jersey? Long-term care facilities: New Jersey offers veterans long-term care in the three Veteran’s Memorial Homes in Paramus, Menlo Park and Vineland. Homeless veterans: Veteran’s without homes can benefit from the state’s Stand Down Operations which provide a range of necessities including legal and mental health assistance, food, clothing and companionship. The Transitional Housing Program: Designed to assist homeless veterans reintegrate into their communities, this rehabilitation program is open to eligible veterans through a referral from the VA Medical Center. Hiring preference: War period veterans who pass the state civil service examinations will receive preference over all non-veterans when applying to state, county and municipal employment positions. Income tax exclusions: All U.S. military pension benefit payments are excluded from gross income tax. This includes survivor’s benefits. Property tax exemption: This is limited to veterans with wartime experience during the relevant time period, who are rated 100% permanent service-connected by the VA and have received an honorable discharge or have been discharged under honorable conditions. Property tax deductions: You are required to fill in an application before December 31st of the pre-tax year to become eligible for an annual property tax deduction of $250. Widows of eligible veterans are also eligible for this benefit. Law firms that specialize in elder law are an invaluable resource for veterans requiring assistance and aid when applying for veteran’s benefits. At Sedita, Campisano & Campisano, LLC, Frank R. Campisano has over 30 years of experience in assisting veterans, their spouses and families in applying for and receiving all the benefits, aid and assistance they are entitled to. Contact us today to speak to a compassionate, knowledgeable attorney. Start small: An estate plan can sound intimidating and it’s easy to get overwhelmed thinking about the different benefits that Living Trusts, Power of Attorney, medical directives and other options offer. It’s best to simply sit down and start with the most important document – Your Last Will and Testament. This will help you to focus on exactly what you want done with your assets after you pass away and whom you would like to benefit. After drawing up your Will, you’ll have a clear idea of what else should be included in your estate plan. Consider your goals: Ask yourself what you would like to achieve with your legacy. It could be something as simple as providing funds for your child’s education or it could be the reduction of estate taxes. Estate plans can be as complex or simple as you’d prefer, depending on what your goals are. Your attorney can also assist you here and explain what can be achieved through careful estate planning and how to go about it. Medical directives and Power of Attorney: Unlike your Will, these elements of your estate plan can have a significant impact on your life. A medical directive will appoint someone to make healthcare decisions on your behalf, including what advanced life-saving measures you would or would not like to receive, while a financial Power of Attorney will appoint someone to represent you in financial matters if you are no longer able to do so yourself. These documents are essential, as they provide clients with control over their final wishes and quality of life, as well as providing complete peace of mind. Know your executors and trustees: These are very responsible positions that are best put in the hands of people you not only trust and have your best interests in mind, but are also capable enough to enforce your wishes in the face of any objections or outside pressure. While you can choose a family member or friend, many people choose to rather name an experienced legal professional, due to their knowledge and objectivity. Stay up up–to-date: Once you have a satisfactory estate plan, you can rest easy – but keep in mind it should accommodate any changes in your life. Divorce, marriage, having children or building your own business can have significant effects on your estate plan, so be sure to contact your lawyer to ensure that it changes in line with your lifestyle, goals and assets.